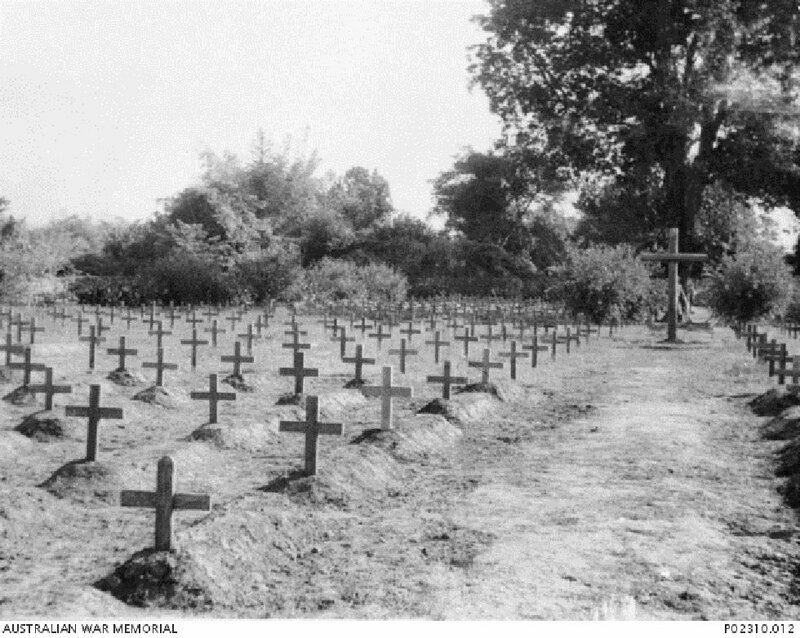 Temporary wooden crosses on the graves of Allied POWs in the Chungkai cemetery (used for POW burials between 1943 and 1945, present-day Chungkai War Cemetery), September 1945. Image courtesy of Jack Holder Leemon, Australian War Memorial. 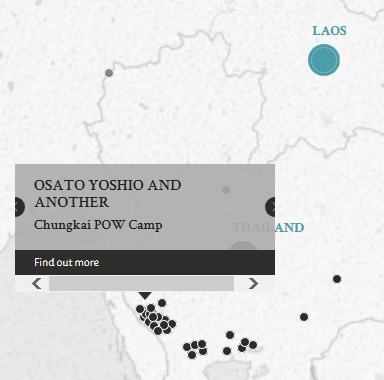 The 1st defendant Lieutenant Osato Yoshio was an acting camping commandant for the Chungkai Prisioner of War Camp in Siam. The 2nd defendant Korean Guard Ozawa Heiji was acting as the Quartermasters Clerk. The accused were charged with the ill-treatment of Prisoners-of-War under their charge at Chungkai Prisoner-of-War Hospital Camp, in particular a Captain Biggs. The ill-treatment alleged included harsh conditions, lack of food and supplies, beatings, and the beating of Captain Biggs by the defendants and their staff for an alleged minor theft. Both Lieutenant Osato Yoshio and Korean Guard Ozawa Heiji were found guilty and sentenced to 3 and 4 years' imprisonment respectively. Both sentences were remitted by 1 year. The prosecution relied solely on affidavits to illustrate the ill-treatment. The court gave Lieutenant Osato Yoshio a lighter sentence than Korean Guard Ozawa Heiji as his culpability seemed to be lesser with regards to the beating of Captain Biggs. Unlike the Korean Guard Ozawa Heiji, Lieutenant Osato Yoshio did not participate directly in the violence against Captain Biggs. Osato, Yoshio. Lieutenant. From Japanese military. From Japan. Guilty. 3 years' imprisonment. Sentence remitted. 2 years' imprisonment. Ozawa, Heij. Korean Guard. From Japanese military. From Korea. Guilty. 4 years' imprisonment. Sentence remitted. 3 years' imprisonment. Forsythe, P.A. Lieutenant-Colonel. From British military. Court president. Solicitor. Warwick, P. Major. From British military. Ward, F.W. Major. From British military. LLB. Nakamura, T. Barrister, Tokyo Supreme Court. McKenzie, I.K. Captain. From British military.